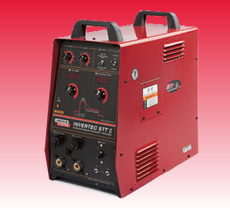 The Invertec® STT® II power source combines high frequency inverter technology with advanced Waveform Control Technology® to provide a better welding solution than traditional short arc MIG. STT® (Surface Tension Transfer®) is a controlled GMAW short circuit transfer process that uses current controls to adjust the heat independent of wire feed speed, resulting in superior arc performance, good penetration, low heat input control, and reduced spatter and fumes. Top wire feeder user interface and added traction with four roll drive system. Rugged enclosed feeder – a great system for construction or shipbuilding. The Invertec® CC 400-S is designed for reliability and durability with excellent arc characteristics. The advanced version Invertec® CC 400-S Plus has the additional features of touch start TIG, remote capability, and generator compatibility. 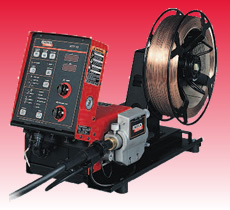 The high duty cycle of both models makes it possible for welding with various sizes of electrodes. They are built to IP23 classfication to ensure reliability even under harsh working conditions. 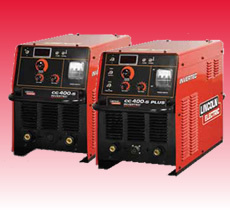 The Invertec® CC 400-S and The Invertec® CC 400-S Plus use inverter technology to provide a high level of energy efficiency. This reduces electricity usage which helps to lower production costs. They are designed with adjustable hot start and arc force control. The Invertec® CC 400-S Plus model is an ideal choice for field work with generator compatibility and for welding with cellulosic electrodes. The INVERTEC® CC 400-T/TP is designed and manufactured with the latest digital IGBT technology. This machine has superior arc performance and may be operated in harsh environments due to its robust outer casing. Rugged, lighweight, portable, full functionality, and easy operation to meet the requirements from all types of different users. 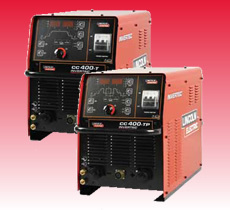 As a professional TIG machine, The INVERTEC® CC 400-T/TP features four welding modes: MMA, Lift TIG ignition, HF TIG ignition and HF TIG Spot ignition. The machine also is capable of 2 or 4 step trigger, HF/LF pulse, parameters memory, variable upslope/downslope current control, and preflow/postflow gas control. 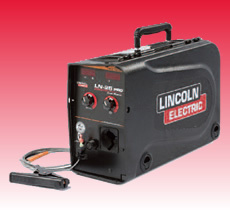 This machine is equipped with variable frequency pulse control to provide an adjustable welding arc. This unique function enables adjustments to best suit the welding application to optimize bead appearance, reducing heat input to control deformation, and increasing travel speed. The INVERTEC® CC 400-T/TP is a standard air cooled machine which may be converted to water cooled by adding an optional water cooling tank.